A complimentary review copy was provided by the publisher. All opinions are my own. This post includes affiliate links. Shopping through my links helps keep this site going at no additional cost to you. Thanks for reading! Have you ever thought about the history of fireworks? When I think about some of my happiest moments growing up and even as a parent, there are bound to be some kind of explosives nearby. I’ve never given it much thought, but the presence of sparklers and firecrackers in the street on the 4th of July or a gorgeous fireworks display on just about any holiday or vacation seems almost commonplace to me. 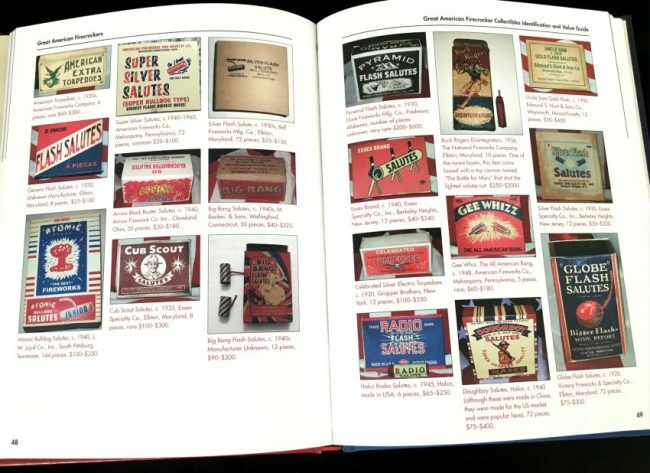 So when I was offered a review copy of The Book of Great American Firecrackers: Cherry Bombs, M-80s, Cannon Crackers, and More I was instantly intrigued. 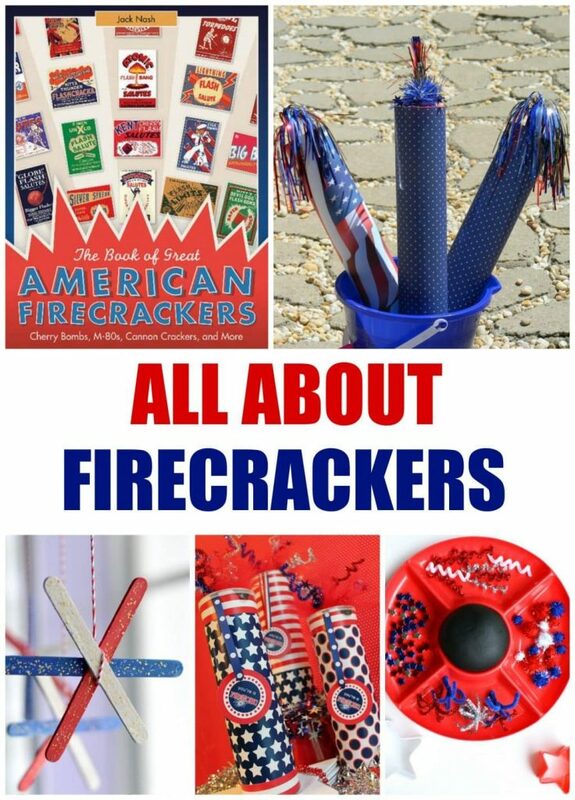 Firecrackers have been around for hundreds of years, dating all the way back to their origination in China during the Middle Ages. And it’s sentences with that kind of information that remind me how much I love learning about history and how things work. I mean, so much has changed in just my lifetime (shy of 40 years) so thinking in centuries or even millennia still blows my mind. To me, firecrackers and beautiful fireworks in the sky are just a part of life. I’ve never really stopped to consider how they got here. 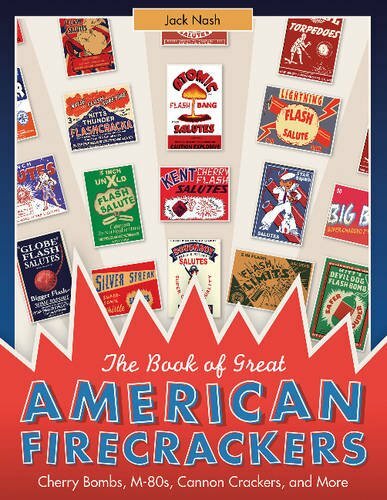 What’s interesting about Great American Firecrackers is that its the first to focus solely on firecrackers here in the United States. Our history is obviously shorter than other countries, but no less interesting. In this coffee table sized book, you’ll find tons of information, vintage color photos and even some old-school (and scary!) propaganda. 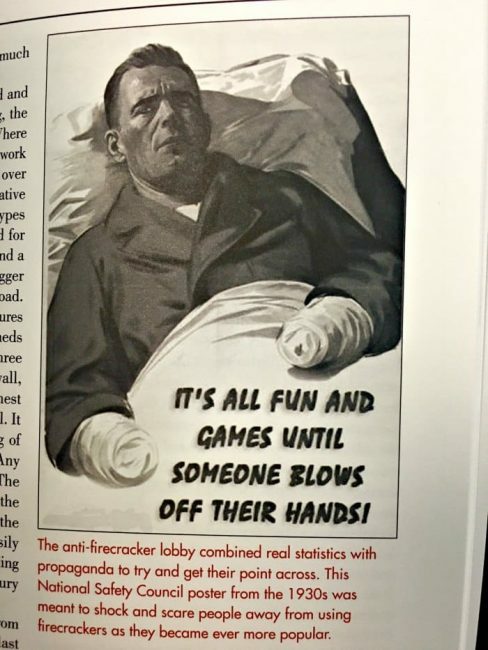 It’s a fascinating peek into the history of firecrackers but also a look at a life in America many of us have never known. Does that poster make you cringe? I mean it’s true and why as parents we teach our kids to play safely, but wow. That’s an image I can’t unsee. Are you fascinated yet? 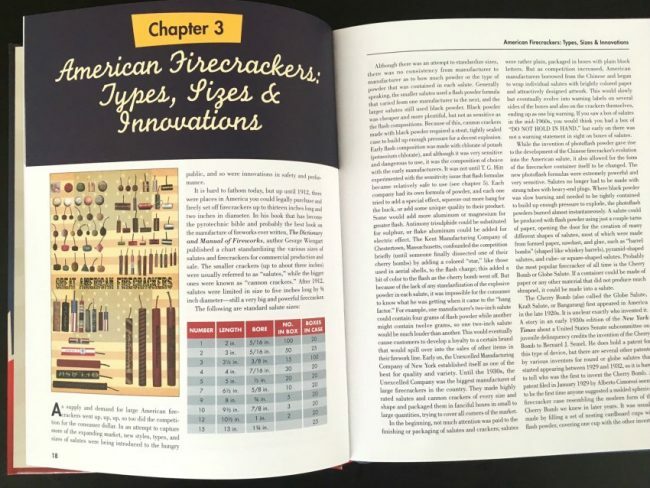 Great American Firecrackers is a fun conversation starter and a great book for tweens who are interested in how stuff works. I also love that the author, Jack Nash, is a true fan himself. From his bio we learn that Jack began collecting firework labels at a very early age, and eventually became a licensed pyrotechnician. Active in the entertainment field, Jack has developed special indoor pyrotechnic effects for the stage. Thankfully, there are much safer ways to enjoy firecrackers these days. We still have fireworks and of course sparklers are always fun on the 4th. 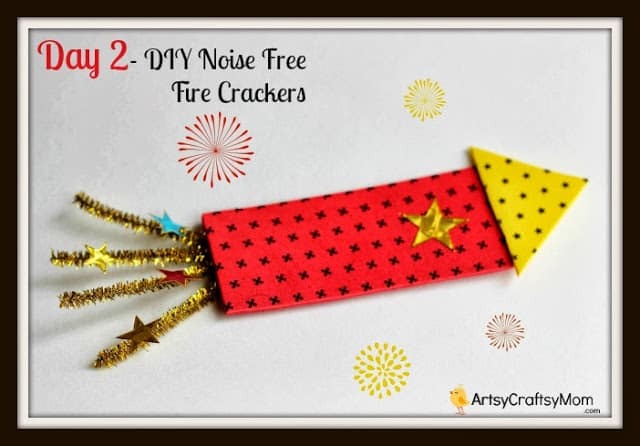 If you’re looking for some other ways to enjoy firecrackers with your kids (hold the danger) try one of these cute kids activities! 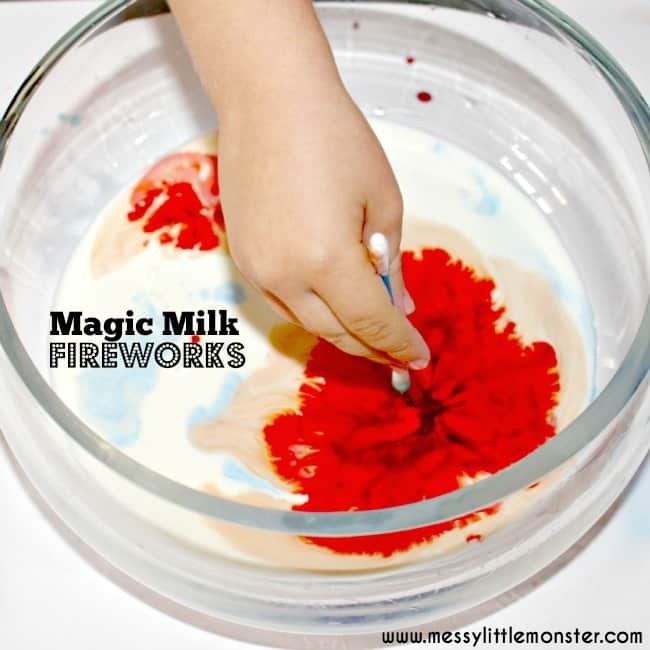 Want more patriotic fun? 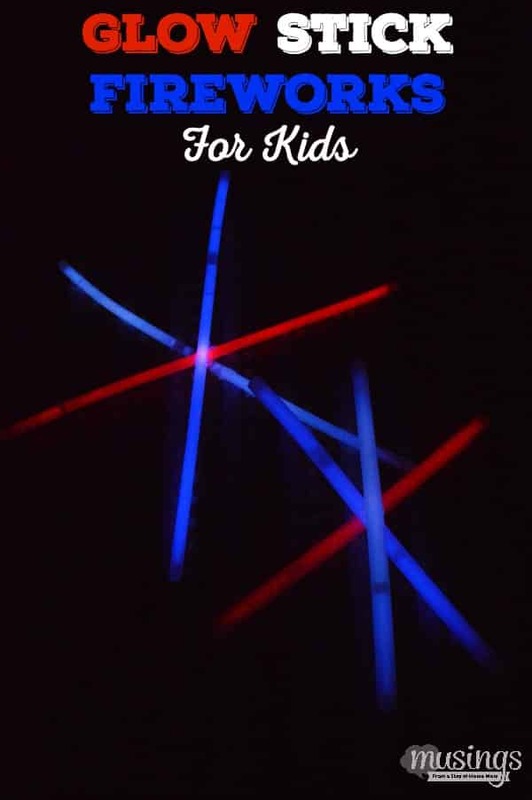 Check out these crafts and recipes!